Arlington, Va. – February 5, 2015 – PBS Distribution announced today it is releasing American Masters: August Wilson: Ground on Which I Stand on DVD. THIRTEEN's American Masters series and Pittsburgh PBS affiliate WQED joined forces to explore the life and legacy of playwright August Wilson (April 27, 1945 – October 2, 2005) – the man some call America's Shakespeare – from his roots as an activist and poet to his indelible mark on Broadway. American Masters: August Wilson: Ground on Which I Stand will be available on DVD February 24. The DVD has a run time of approximately 90 minutes and an SRP of $24.99. The program will also be available for digital download. Unprecedented access to Wilson's theatrical archives, rarely seen interviews and new dramatic readings bring to life his seminal 10-play cycle chronicling each decade of the 20th-century African-American experience, including the Tony Award- and Pulitzer Prize-winning "Fences" and Pulitzer Prize-winning "The Piano Lesson." Film and theater luminaries, including Viola Davis, Charles Dutton, Laurence Fishburne, James Earl Jones, Suzan-Lori Parks and Phylicia Rashad, share their stories of the career- and life-changing experience of bringing Wilson's rich theatrical voice to the stage. Wilson's sister Freda Ellis, his widow and costume designer Constanza Romero, as well as friends, colleagues and scholars trace Wilson's influences, creative evolution, triumphs, struggles and quest for cultural determinism before his untimely death from liver cancer. "Having the opportunity to explore Wilson's creative process and his tenacity in looking at the African-American experience in the 20th century was one of the most exciting endeavors I have ever had in my film career," said filmmaker Sam Pollard ("Slavery by Another Name," "American Masters – Marvin Gaye: What's Going On"), who has earned multiple Emmy and Peabody Awards as producer-editor of documentaries including "When the Levees Broke" and "Spike Lee Presents Mike Tyson." Filmed in the cities where Wilson made his mark, the documentary begins in Pittsburgh's Hill District, where the future playwright, a brainy, bi-racial child raised in poverty, dropped out of high school because of bullying and prejudice. Self-educated in the city's public library and streets, Wilson was influenced by the rising black consciousness of the 1960s and became an activist young poet. The film follows his transition to a successful playwriting career, from the founding of the Black Horizon Theater (Pittsburgh) and his early work at the Penumbra Theatre (St. Paul, Minn.), to his big break at the Eugene O'Neill Theater Center's National Playwrights Conference (Waterford, Conn.). There he began his life-changing collaboration with mentor-director Lloyd Richards, which led to nine original Broadway productions. Launched in 1986, American Masters has earned 28 Emmy Awards — including 10 for Outstanding Non-Fiction Series since 1999 and five for Outstanding Non-Fiction Special – 12 Peabodys, an Oscar, three Grammys, two Producers Guild Awards and many other honors. Now in its 29th season on PBS, the series is a production of THIRTEEN PRODUCTIONS LLC for WNET and also seen on the WORLD channel. To take American Masters beyond the television broadcast and further explore the themes, stories and personalities of masters past and present, the series' companion website (http://pbs.org/americanmasters) offers streaming video of select films, interviews, photos, outtakes, essays and more. 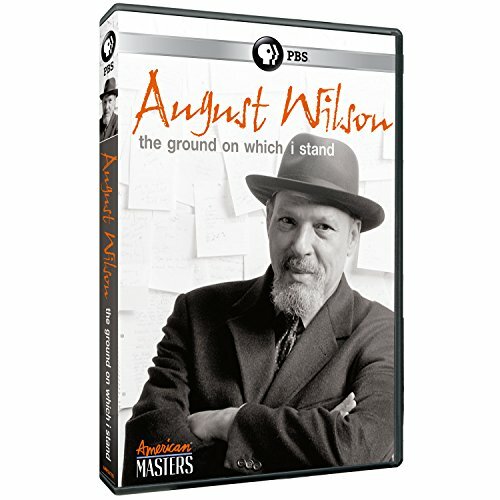 For American Masters: August Wilson: Ground on Which I Stand , educational resources include a teaching guide, interactive map and biographical timeline with additional materials available via PBS LearningMedia. The goal is to equip high school educators with tools to explore Wilson's cultural impact with students through the themes prevalent in his work: community, identity, diversity, activism, self-reliance and resilience. In Pittsburgh, Atlanta, Chicago and Washington, D.C., WQED's The August Wilson Education Project will conduct additional outreach in partnership with local PBS stations, schools, libraries, theaters and other community organizations. This national education outreach effort is supported by The PNC Foundation. American Masters: August Wilson: Ground on Which I Stand is a co-production of WQED and THIRTEEN PRODUCTIONS LLC's American Masters for WNET. Sam Pollard is director and producer. Stephen Stept is writer. Frank Caloiero is director of photography. Steve Wechsler is editor. Darryl Ford Williams and Susan Lacy are executive producers. Michael Kantor is executive producer for American Masters. Major funding for American Masters: August Wilson: Ground on Which I Stand is provided by PNC Bank, National Endowment for the Humanities and The Heinz Endowments. American Masters is made possible by the Corporation for Public Broadcasting, Rosalind P. Walter, The Blanche & Irving Laurie Foundation, Rolf and Elizabeth Rosenthal, Vital Projects Fund, Rhoda Herrick, Jack Rudin; The André and Elizabeth Kertész Foundation, the Michael & Helen Schaffer Foundation and public television viewers. WQED changes lives by creating and sharing outstanding public media that educates, entertains, and inspires. It is the parent company of WQED-TV (PBS); WQED: The Create Channel; WORLD Channel; WQED Showcase; Classical WQED-FM 89.3/Pittsburgh; Classical WQEJ-FM 89.7/Johnstown; the Pittsburgh Concert Channel at WQED-HD2 (89.3-2FM) and online at www.wqedfm.org; local and national television and radio productions; WQED Interactive (www.wqed.org) and iQ: smartmedia, WQED's Educational initiative (www.wqed.org/edu).